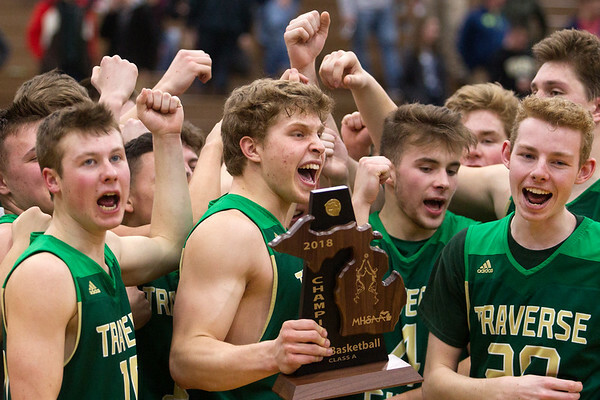 The Traverse City West Titans took home their fifth Class A district championship trophy in a row after beating the Gaylord Blue Devils at Gaylord High School on Friday night. The Traverse City West team cheers after receiving their Class A district championship trophy after the game against Gaylord at Gaylord High School on Friday night. The Titans beat the Blue Devils 65-51 and claimed their fifth district championship in a row.